In celebration of the 111th anniversary of the Bank of Canton Zug, Patrick Lindon Industrial Design was invited to design and produce 111 park benches which were distributed throughout the canton. 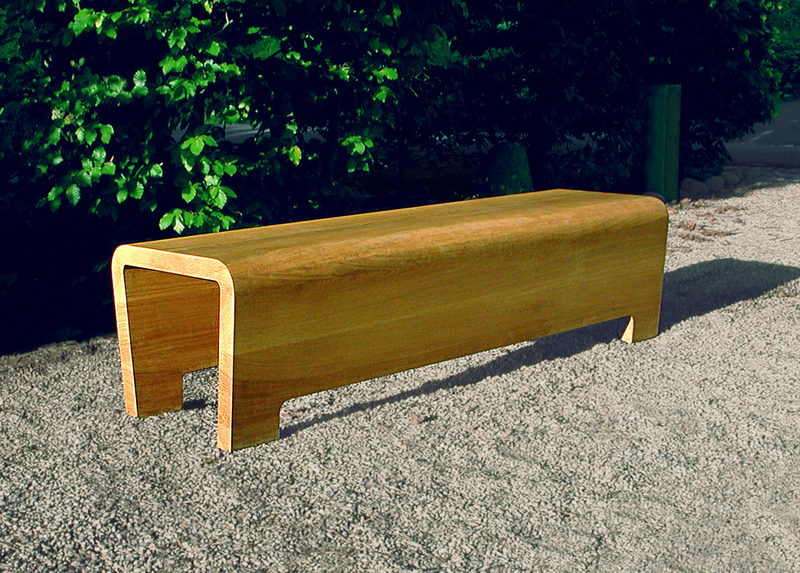 The two and a half meter long benches are majestic in form, and are made of robust, solid oak. 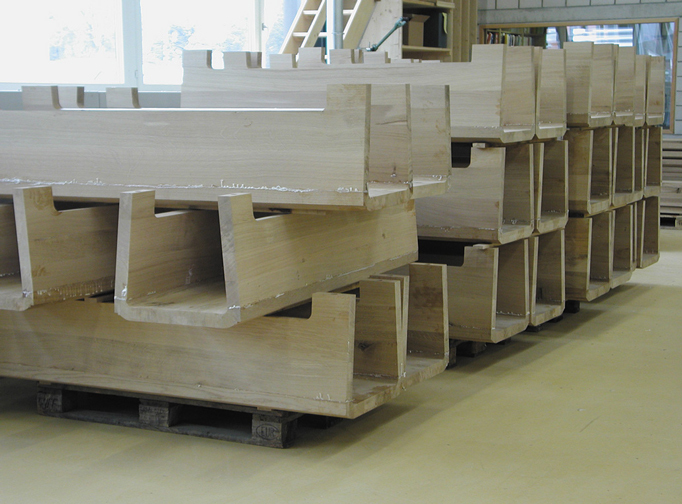 A stack of assembled benches await finishing. 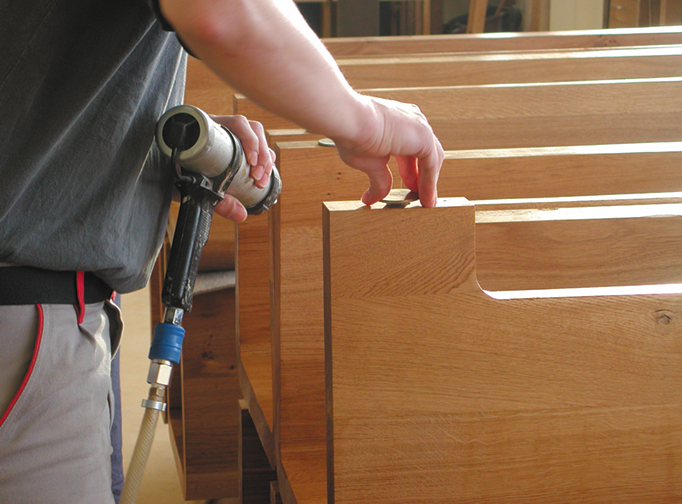 Quality craftsmanship involves attention to detail and an instinctive feeling for the materials. 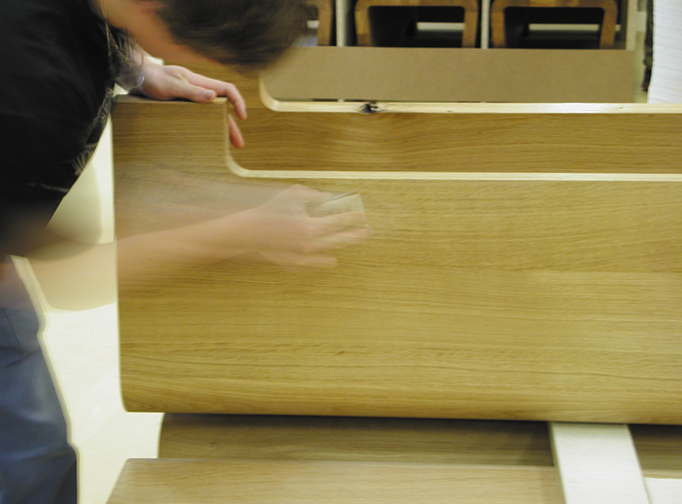 The adjustable feet are silconed into place to allow movement and flexibility with the wood. Then comes a natural finish with linseed oil. The 111 benches each found a home, scattered throughout the Canton of Zug. 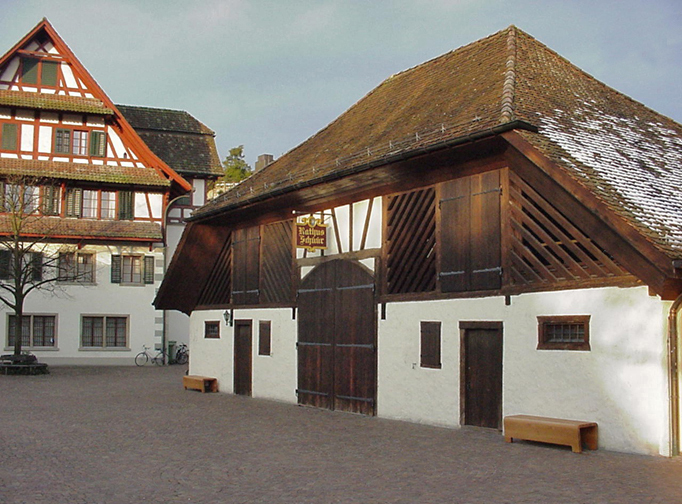 These two are set in front of a town barn of Baar, a venue for concerts and exhibitions.